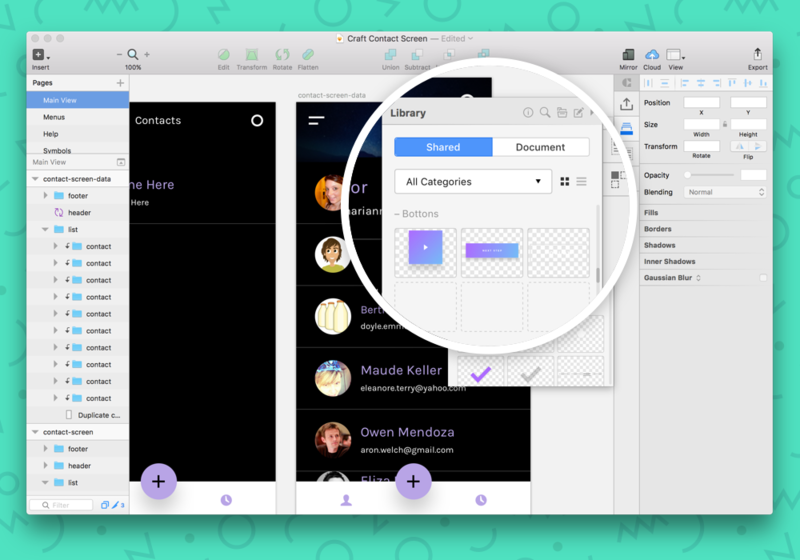 Now we’re going to take a look at the really important stuff, mainly: getting stuff out of Sketch. the document for placement into your front-end build. Slices are the most traditional way of grabbing something out of the document. You can use the Slice tool (press S key or Insert > Slice) to manually select regions of the canvas you’d like to export. 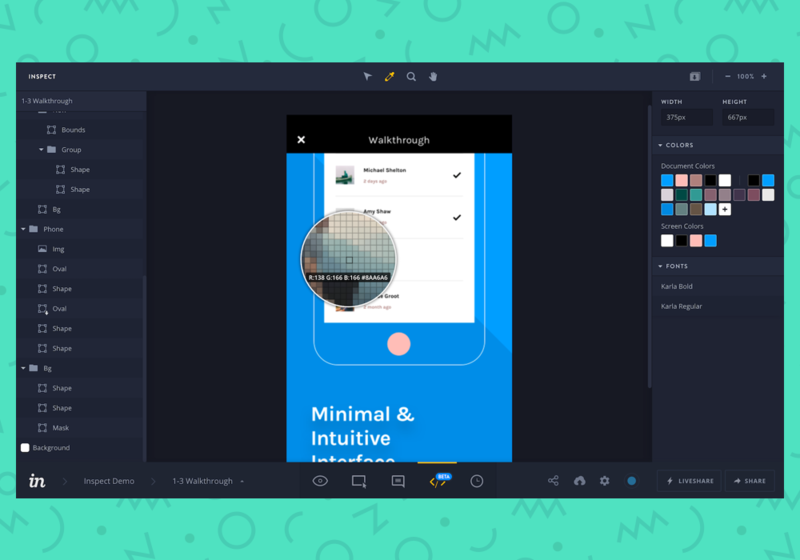 Layers and groups can be exported by selecting them in the palette and using the Make Exportable dialog in the bottom right of your Sketch interface. It’s a great way to quickly isolate assets in a complex document. 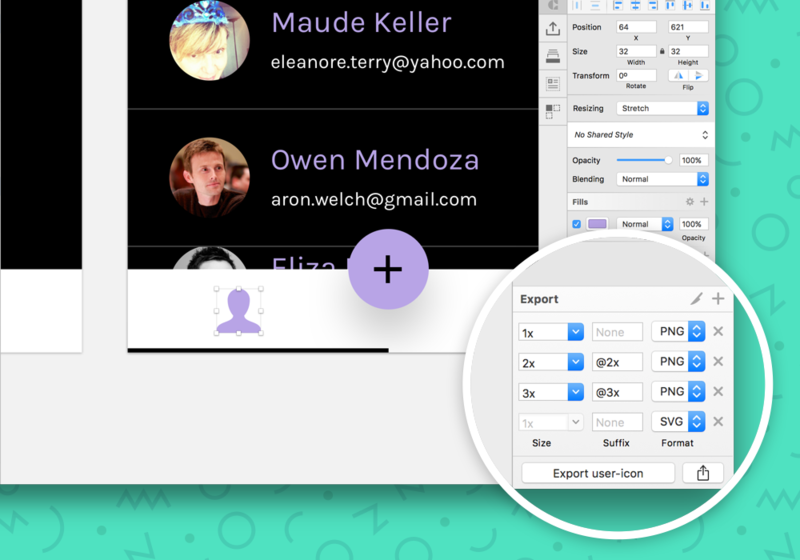 Artboards can be exported whole, by selecting it from the canvas and using the Make Exportable dialog. I usually use artboard export to share entire screens, either with my team in Slack or into a prototype with InVision. As you mark things for export, you’ll also able be able to select the file type and the export file size (@2x, @3x, etc.). The best part? It’s stackable! Which means you can grab that icon in all 4 sizes in 1 swing. Once an asset is marked for export, it’ll show up in the Export menu (top right in Sketch interface), as well as travel with the file. Meaning, if you share the file with a team member, all the assets will be ready to roll when the file is re-opened. 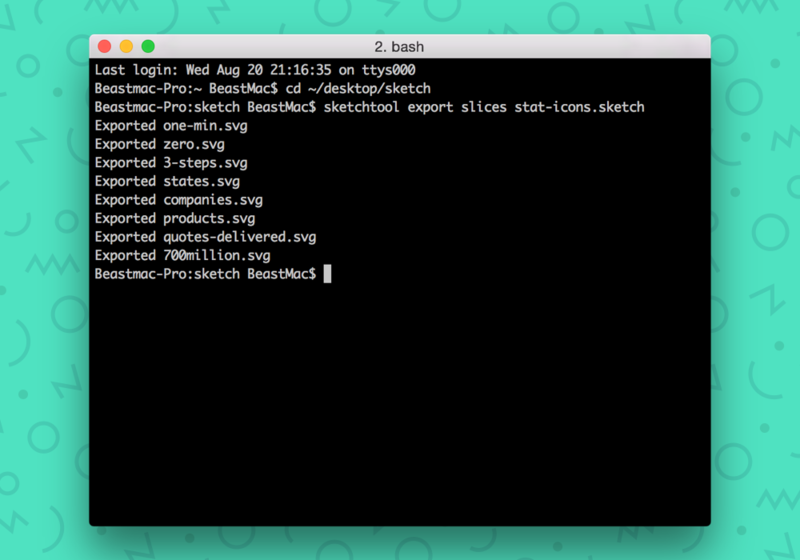 Recently the team behind Sketch released 2 official plugins targeted at the export process: SVGO Compressor and Sketch Image Compressor, and both help you minimize the size of your exports (while using trusty open-source libraries). There’s also a command line tool, but we’ll talk about that a bit later. The phrase “handoff” has recently fallen out of style, and with good reason. We’re getting rid of that old way of working—where the designers design and then separately the developers develop. you some super-handy tools for organizing and documenting your design decisions (and soon-to-be code decisions). can individually decide what gets added to it, including symbols and groups you can define. Think of it a bit more like a public repo where you only put the stuff you’re sure about and ready to share. is also a great way to cut some fat before it gets to code, as it makes it easy to spot duplicate and near-duplicate styles (which happen to even the best designers). Share your style guide. 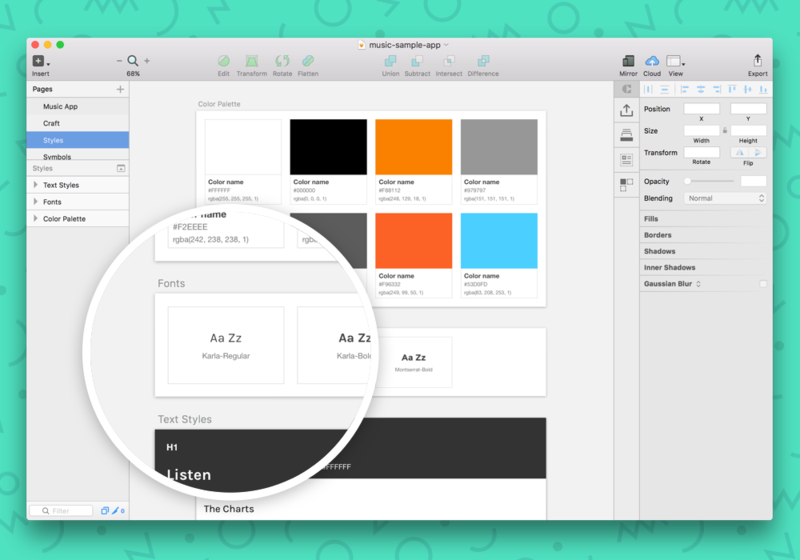 Craft makes it easy to share a style guide between team members, which means it’s easy for designers and developers to work together on this. Regardless of who creates the guide, review it together and discuss the finer details. Consider symbols part of your guide. I love considering the symbols in the Sketch document part of the modular front-end build I’m creating. If it’s reusable in Sketch, it’s a good candidate to be reusable in my code. In fact, with Craft Library, you can easily add symbols and other elements into named buckets for easy sharing. One designer can make the card layout, another can fill it and place it into the layout, and then you can code it. check out this Help Center post. A good style library can get rid of one of the worst things during a build: surprises. While surprises might be good for birthday parties, during a tight build they’re absolutely the worst. It’s not exactly hard, but the repetition can be crushing. It’s a lot of looking, computing, committing. Then one day I noticed Sketch had a Copy CSS option in the right-click menu. Let’s check out a quick example, in the form of this button. Waaaay back in the day, this might have been an image I sliced out of Photoshop. Now I can grab the CSS and make the button with code only. 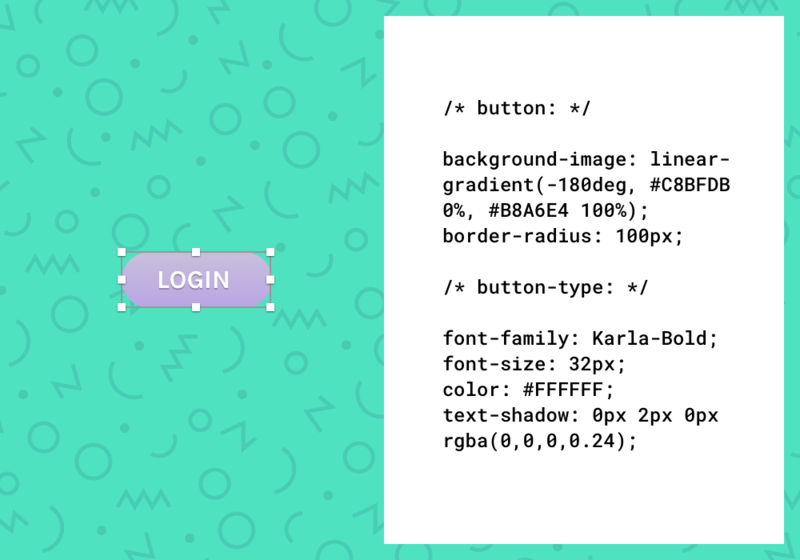 When I copy CSS from this button group, it brings me the styling of button and the styling of the text inside. It also adds the layer names to help you keep things straight. Add your own browser prefixes. The CSS code you copy from Sketch might need browser prefixes (fancy things like box-shadow and such), so make sure you add them yourself or use a preprocessor that takes care of it for you. as fact, check it on a real screen in a real browser. No Sketch app? No problem. For years now, one of the biggest problems with sending design files around on a team is that not everyone has the software to open them. Remember getting a Quark file? Or something locked to Illustrator 11 when you’ve only got 10? prototype from the Sketch file, which you can then discuss with your designers and team to make sure everyone is on the same page. And there are more tools and integrations and plugins coming out all the time. 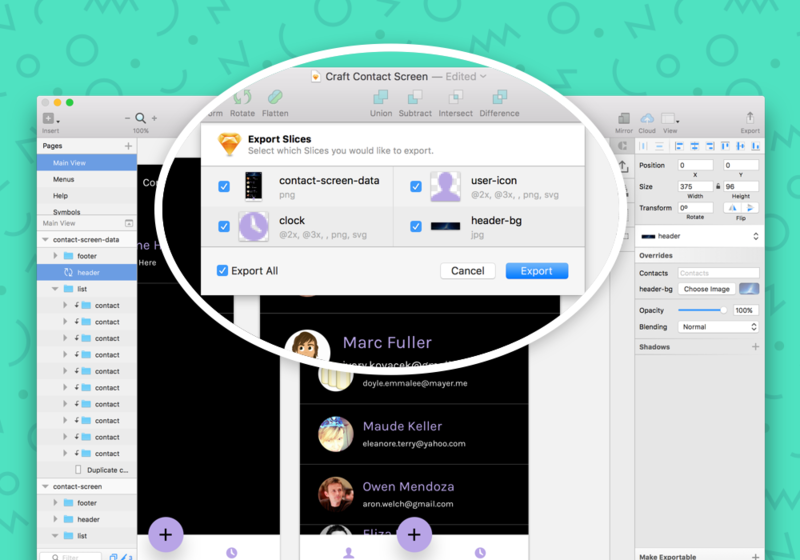 So, even if you don’t have Sketch, there’s no need to freak out when someone sends you a Sketch file. In fact, you might owe that designer a high-five. Moving into new software is always scary. Heck, I toyed with Sketch for almost a year before I really committed. I hope this article has shed some light into the new (and familiar) paradigms inside Sketch, and that you master them in no time. It’s a whole new world. We’re waiting for you. Did you miss part 1 of this series? Go and read Sketch for front-end developers, part 1.